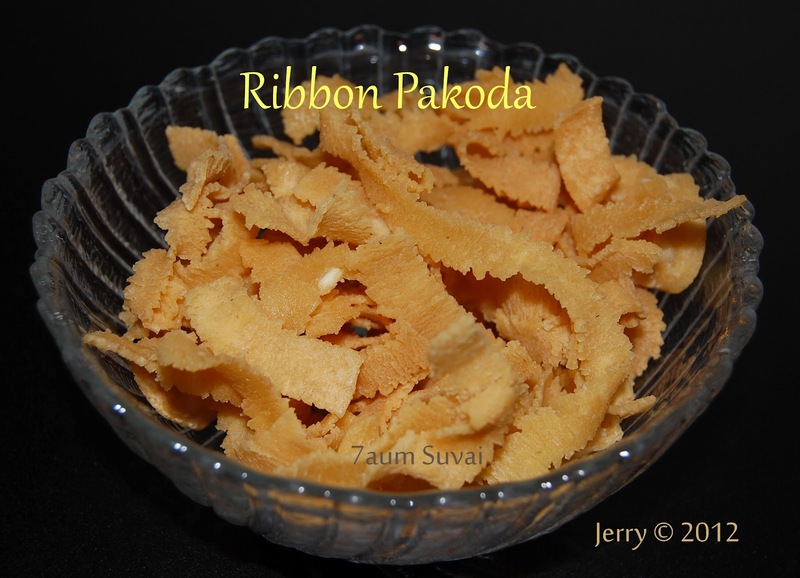 Until I try it… Like everyone, I assumed ribbon pakoda is a festival snack, hard too make it. But now I started making it for normal evening snack…My mother in law taught this recipe…it was very easy and tasty too. At first soak the rice for at least 3 hours then grind the rice in wet grinder/mixer grinder(but i used wet grinder) along with red chilly. Use very little amount of water to it because dough should be thick enough to make ribbons. At last stage add the chopped garlic and grind everything to a smooth paste. You can add salt at this stage…. Next finely grind the pottukadalai in a mixer grinder and keep it aside. Take a mixing bowl add rice flour and powder pottukadalai and mix it well like a murukku flour (big ball). Use murukku press and ribbon pakoda plate. 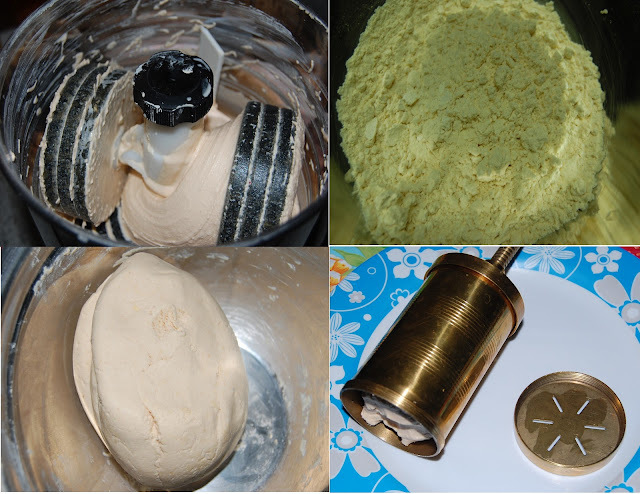 Put half of the dough in murukku press. Check the oil before you make ribbon pakoda. Press it on the hot oil. Fry till golden brown and remove from oil. Use paper towel to remove excess oil. After ribbon pakodas are cool down store in airtight container. At what stage did u add the cumin, Asafoetida and butter? best recipe,searching everywhere finally got it.thanks for sharing.